A recent piece on NPR highlighted some amazing lunch art that parents enjoy making for their children’s school lunches — and why this can piss other parents off. The insightful article showed up in my Facebook news feed, and shared some incredibly artistic and creative parents who use their children’s lunches as their canvas. From a mother drawing on her child’s napkins to a mom arranging actual food in pleasing formations to a dad who draws on his kid’s lunch bags, the examples can be found on social media far and wide. However, the article addressed that some adults don’t always take it so well, expressing jealousy and even outrage at this practice. The theory is that by doing something fun for your child, other parents can feel like they’re not living up to some standard that they didn’t even know about before they saw your kid’s lunch. And there is an additional, darker twist; the dad interviewed in the NPR piece said that once he revealed that he’s actually a dad (and not a mom) on his Tumblr account, the comments from strangers changed from critical to complimentary. Why are we so quick to tear down moms, but when dads do the same thing, it’s oh-my-gosh amazing because dads don’t do parent-type things and it’s cool when they do? The truth is, everyone is going to be better at something than other people, and that includes things we do for or with our kids. You can’t compare your mom powers to others based on one aspect alone, such as how elaborate a child’s lunch is, how fancy a kid’s hairdo is that day or how many activities a child goes to over the course of a month. Everyone parents at their own speed, and everyone has their own values that are important to them. 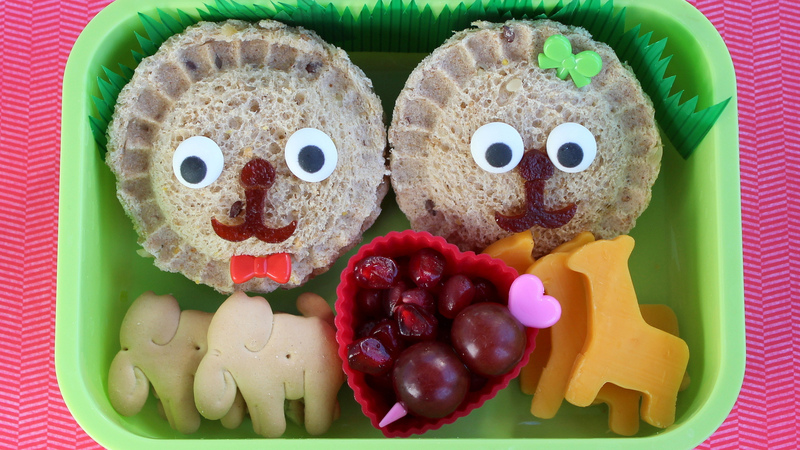 Just because you can’t (or don’t want to) make intricate bento-style boxes for your child or draw elaborate art on their lunch bags, that doesn’t make the things you do less amazing. And it doesn’t mean the parent who does is overachieving, rubbing it in your face or being a jerk about it. This also means that those who enjoy expressing their creativity that way shouldn’t be discouraged from sharing what they do. Art is amazing, and parenting is amazing, and when the two intersect, it shouldn’t lessen either aspect.